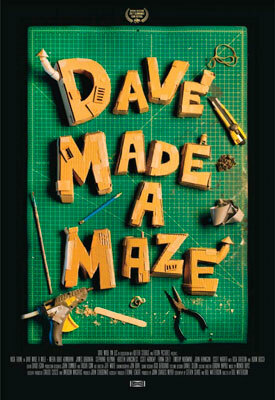 Dave Made A Maze : A Cult Classic? 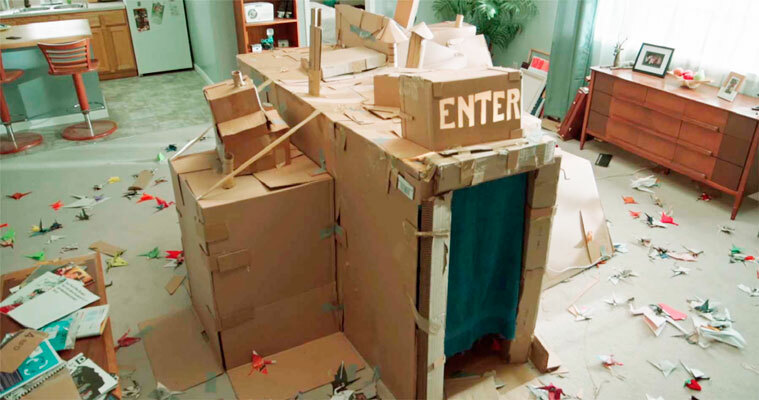 A woman comes home one day to discover her frustrated artist of a boyfriend has thrown together a few cardboard boxes with duct tape and now claims he’s trapped inside. To the casual eye the maze appears as a small structure, crudely designed, like an impromptu rainy day project. 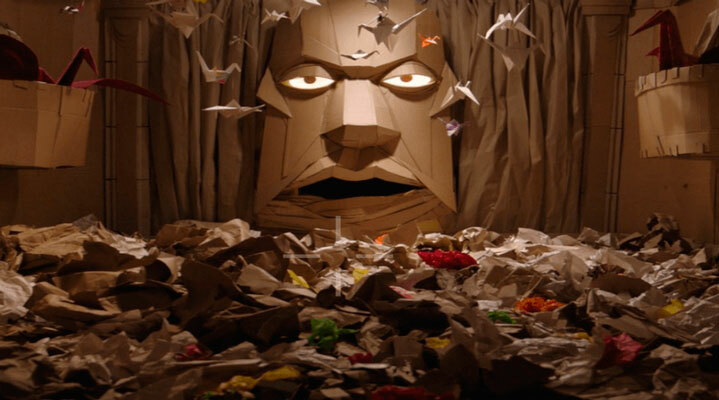 Dave Made a Maze becomes one person's frantic cry - not for help - but for meaning in his life. Annie, Dave’s girlfriend, and his pals go in search of Dave, which leads them into a world of spontaneous portals and other realities. This simple box maze turns into a wonderland of experiences as its size and scope expand into a fantastical labyrinth - is it real or just a mass fantasy? Along the way Dave and Annie are reunited, where they face an assortment of characters that challenge them into literally ‘thinking outside the box’ about their lives. It’s rare to find a film that dances in our imagination, at once visionary like an early Disney cartoon, yet that has the power to fill us with childlike amazement. Such creative innovation can only result in what may be a cult classic. Dave Made A Maze is now on my Top Ten Films of 2017 - not bad for a guy who had trouble finishing anything he started.